Dotting the 21st century landscape of rural America are windmills of the kind not found in Don Quixote’s La Mancha. They are not jousted by chivalrous characters of the 17th century; instead these “giants” are used to tilt the dependency of 20th century fossil fuel in favor of clean, renewable energy capitalized by the surge of state and federal legislation that is encouraging such development. Growing at the rate of 30-percent annually, wind power has a worldwide installed capacity of over 120,000 megawatts (MW) as of 2008. 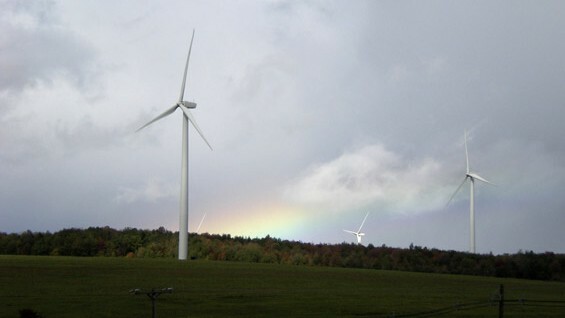 U.S. wind power has achieved two milestones during 2008 when the annual installed capacity reached 35-percent of the nation’s new power producing capacity, second only to natural gas. And, the U.S. grew to become number one in the international market, with 5,244 MW in 2007, according to the American Wind Energy Association (AWEA). The expectations for 2008 were for an increase to 7,500 MW, in spite of tightening financing. By 2018 the wind industry is expected to grow to a size capable of producing 16,000 MW per year. I recently completed my involvement in the Wethersfield Wind Park, one of the largest in the Northeast, located in the vicinity of Lake Erie in upstate New York’s Buffalo area, with a generating capability of 126 MW and an installed cost of approximately $120 million. The project encompassed eighty-four wind-driven generator towers (with a 2-MW turbine at a typical height of 300 feet) with hundreds of miles of underground circuits carrying electricity at 34,500 volts to a main substation where it is then stepped up to 230,000 volts. 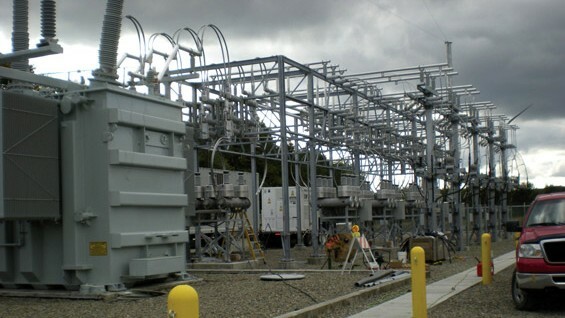 The power was carried via overhead transmission lines from the substation to the switchyard, which serves as the distribution and connection point to the existing New York State transmission grid that in turn brings this electricity to homes and industry. It may sound simple, but it’s not. A wind park is a power generating station located outdoors as opposed to a fossil, nuclear, hydroelectric or cogeneration one, in which the primary equipment is located indoors. All the components of the wind park facility are installed over a large open area necessitating a great deal of coordination and effort to achieve a successful outcome. The generator wind towers are located on leased land requiring site acquisition, leasing personnel and attorneys, to procure the rights to erect the towers and their components on the selected land sites, together with the necessary rights of way to have access for maintenance tasks. 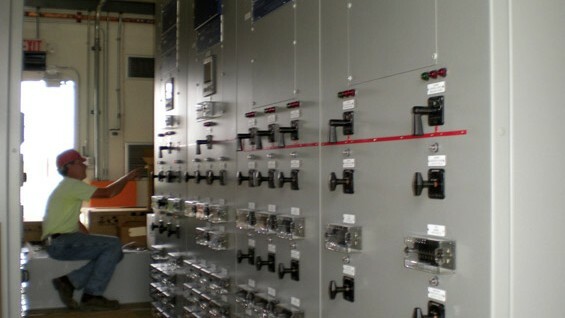 My project responsibilities as Senior Construction Project Manager included the supervision, commissioning and construction of the substation collecting the energy produced by the generator turbines and the switchyard—not to mention monitoring the progress in all the major components of the project, together with technical guidance and supervision of the daily activities of the contractors. My workday in a nutshell encompassed activities involved in safety and progress report meetings with contractors, subcontractors and owner upper management personnel; project schedule review meetings with the owner, project manager, project scheduler and project management personnel, together with the monitoring and review of the daily work in progress. As the construction phase was nearing completion, I began preparation for the commissioning phase, which required the checking-out of every component of the substation, switchyard and control rooms, as well as involvement of the New York State Power Utility. This was essential prior to connection with the existing power grid. For the United States to meet its growth projection, regional transmission authorities are to explore new strategies to meet the demand for wind power. Our national security strategy to achieve energy independence and the global strategy to reduce greenhouse gas emissions depends in part on achieving a 20-percent national energy yield from wind energy by 2030.